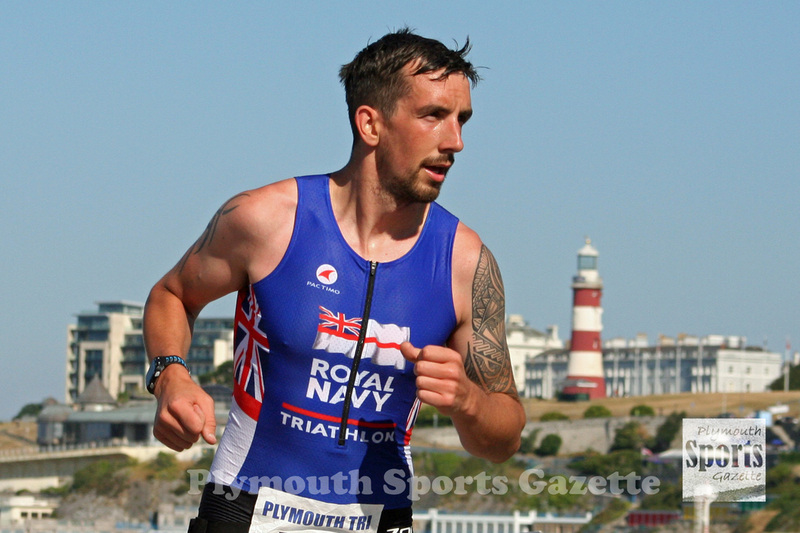 NORTH Devon’s Jack Hutchens claimed an impressive victory at the 2018 Plymouth Triathlon on Sunday. 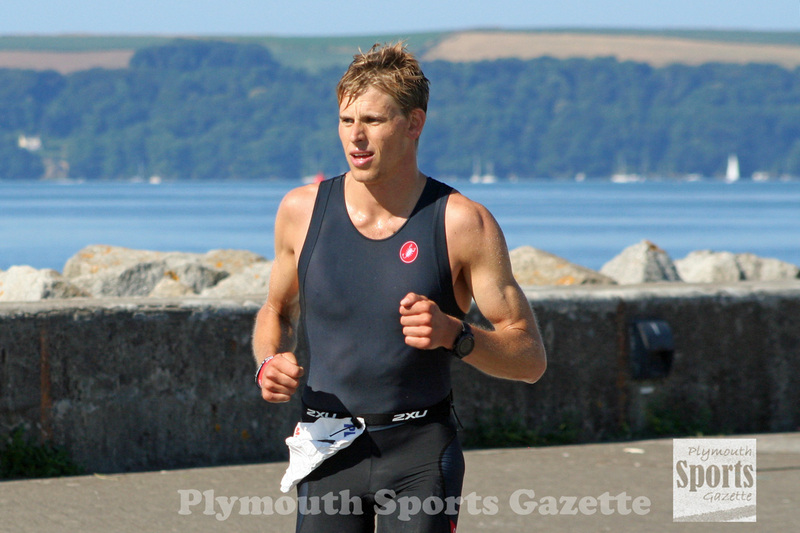 Hutchens, who had won last year’s Plymouth Aquathlon, held off the challenge of city teacher Robert Shaw to take victory in the first running of the Plymouth Triathlon since 2015. There was hardly anything to separate Shaw and Hutchens after the swim and cycle. They both came out of the water at Mount Batten together before Shaw opened up the smallest of gaps on the 40km bike ride out to Modbury. 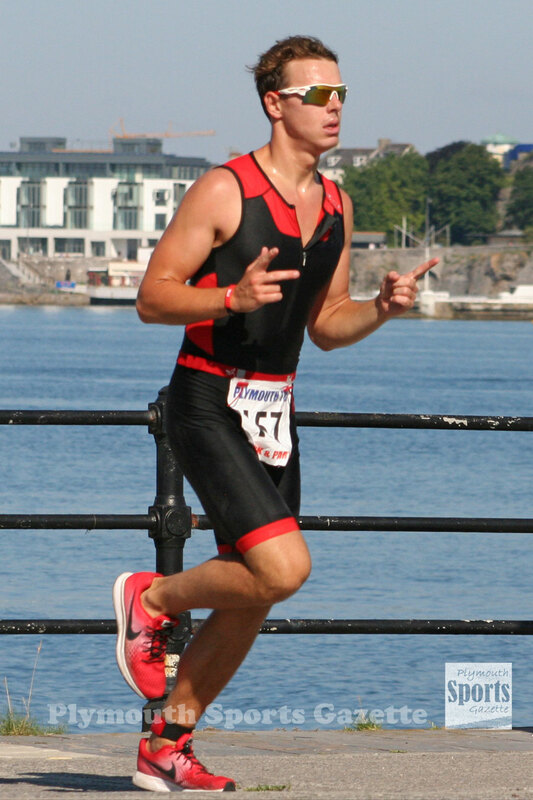 However, elite athlete Hutchens, who recently won the Croyde Ocean Triathlon, had a great final transition and then pulled away on the 10k run to eventually take victory in an impressive time of 2:04.26. Shaw, who has won the Bustinskin WMD, Taunton and Wincanton triathlons this summer, came home in 2:09.19. Third-place went to Plymouth’s Alex Pillage, who finished in 2:18.58. Pillage had a great swim, but lost ground on the leading two on the cycle. Lucy Collins took victory in the women’s event. She clocked 2:41.05 for the one mile swim, 40km bike ride and tough 10km run around Hooe and Jennycliffe. Second women was Plymouth Albion’s lead sports therapist Claudia Serien, who finished in 2:41.51. Pru Harvey was third women and first over-40 in 2:45.06. Michael Gallacher was first over-40 male. He came fourth overall in 2:19.33, with Gareth Morgan-Hughes first over-50. 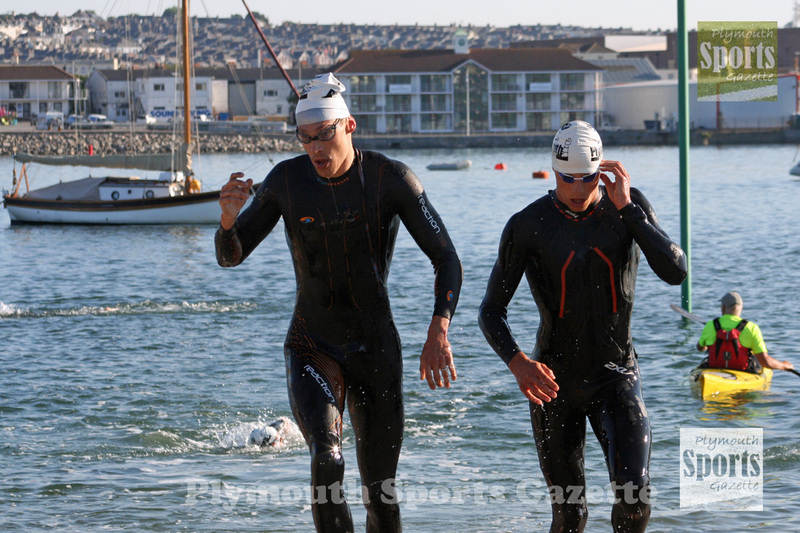 As was as the senior triathlon, Plymouth Triathlon Club also hosted the South West Junior Aquathlon Championships. James Wright and Maddyson Skentelbery took victories in the junior age group of the aquathlon, with Jack Channon and Megan Wright winning the youth section. Rufus Thomas and Darcy Dryden were the tri star three winners, Reen Bowden Inoue and Elen Ruck the victors in tri star two and Will Birchall and Enzo Bowden Inoue took the titles in tri star one. Ellie Birchall was the tri start winner. Full results from both the triathlon can be found HERE.